Winter brings cold temperatures to the Northern Hemisphere, leading us to consider ways to keep warm. In the polar regions, this question is important year-round! 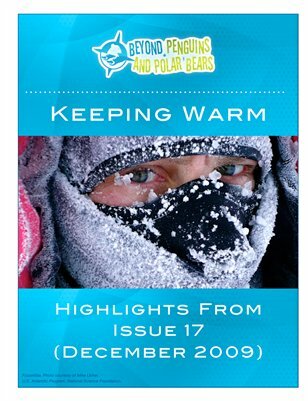 In this issue, explore physical science concepts, such as heat, conductors, and insulation, and apply this knowledge to the animals and people in the Arctic and Antarctica. Explore adaptations and behaviors through hands-on science lessons, informational text, and Readers Theater scripts. Use formative assessment and discrepant events to target student misconceptions about heat. We know your students will quickly "warm up" to science with these ideas!